Snap snap snap! 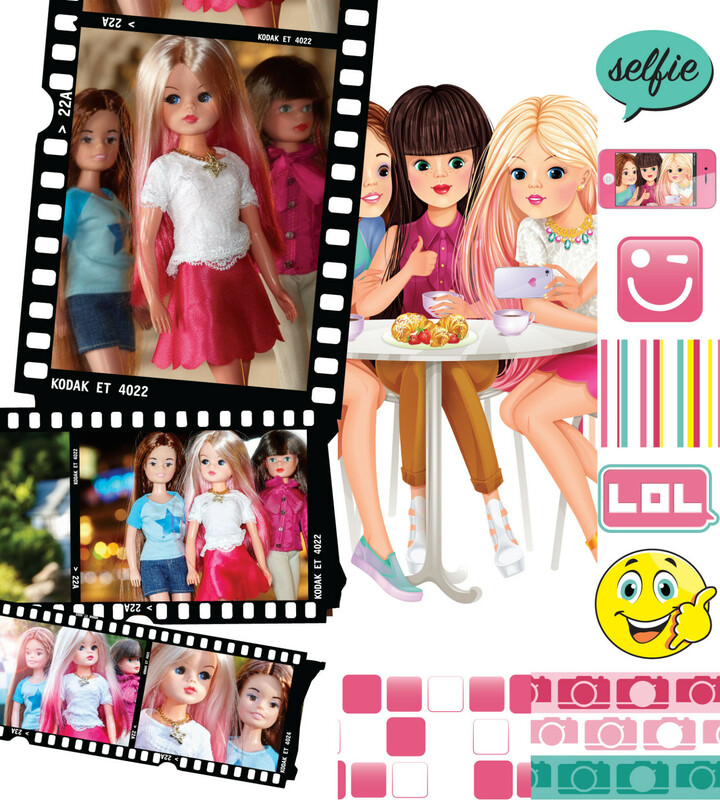 Sindy is taking photos with June and Marie—and why not when all look as fabulous as they do? This teen and her friends are always on trend. And Sindy stands out from the crowd with her hot-pink dip-dyed hairstyle. Her daring do matches her fashionably casual wardrobe—cute miniskirts and lots of lace. Sindy loves to capture all the wonderful moments she has with her best friends wherever they are—the cafe, the park or in the mall, updating her blog daily to ensure she and her friends never miss a thing. One day, Sindy dreams of being a professional fashion photographer. With all this practice, she’s well on the way to making her wish come true. Now smile for the camera! “LOL. Say cheese!” says Sindy as she snaps another sensational selfie.